Referring criteria: Anatomical variants prior to FESS, post FESS anatomy, mucosal inflammation, polyp grading, reactive bony sclerosis and drainage pathways. Findings: Case Studies 1-6 below illustrate the appropriateness of CBCT over CT for these referring criteria. 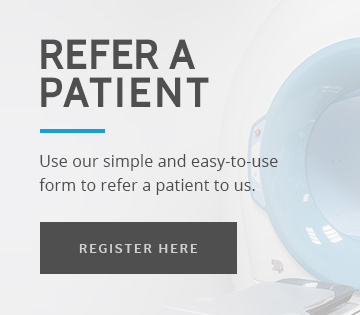 The lower radiation dose in conjunction with the high diagnostic quality images provided by our equipment help to reinforce best clinical practice. This patient presented with chronic polypoidal odontogenic sinusitis. The yellow arrow indicates a small left sided concha bullosa with no nasal septum deviation. The red arrow reveals a small 6mm x 6mm defect in the inferior aspect of the right anterolateral antral wall just above the alveolus and the right upper 5th tooth socket. The anteroinferior antral recess is lined by inflamed mucosa and there is a periosteal reaction. This patient had a history of septoplasty and FESS with sinus pain and headaches. The nasal septum deviates to the right slightly. There has been a right medial antrostomy (red arrows) and there is a small posteroinferior right maxillary antral mucous retention cyst (yellow arrow). There is a well defined 17mm x 19mm lesion arising from the anterior wall and floor of the frontal sinus. There are undisplaced, non-united fractures of the base of the nasal bone. There is a large inferior right sided septal spur shown with the red arrow. There is a 10.85mm right anterior ethmoidal osteoma. There is a defect in the medial wall of the right maxillary antrum (yellow arrow below). This is an accessory medial antral wall ostium and there is a mucous retention cyst in the left sphenoid sinus (red arrow). There is a 4mm non-obstructive osteoma (red arrow) within the superior aspect of the left frontal sinus. There is thick lobulated sinonasal mucosal thickening of both maxillary antra and middle meati (blue arrows).